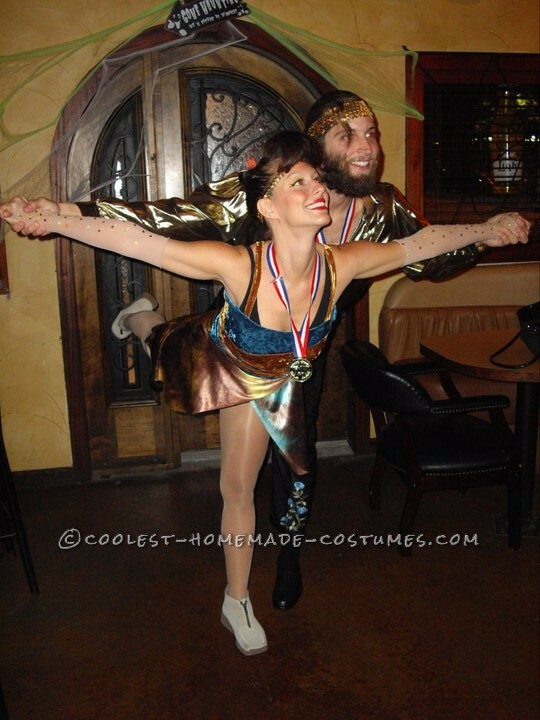 Honestly not too sure how my fiancee came up with this idea for this Olympic Gold Medal Figure Skaters costume, but it’s a relatively easy costume to put together. Visit your nearby Goodwill and look for treasures. I would say the main part is the makeup and hair style. 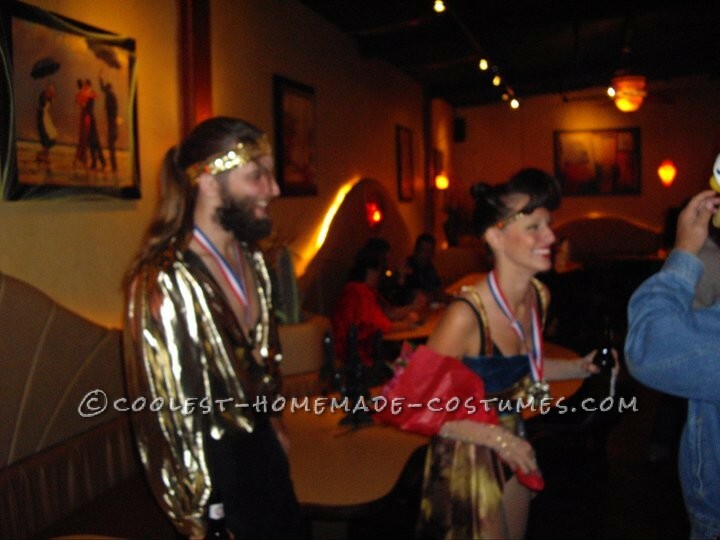 We did have real ice skates, but realized those were not easy to walk around in at a bar. 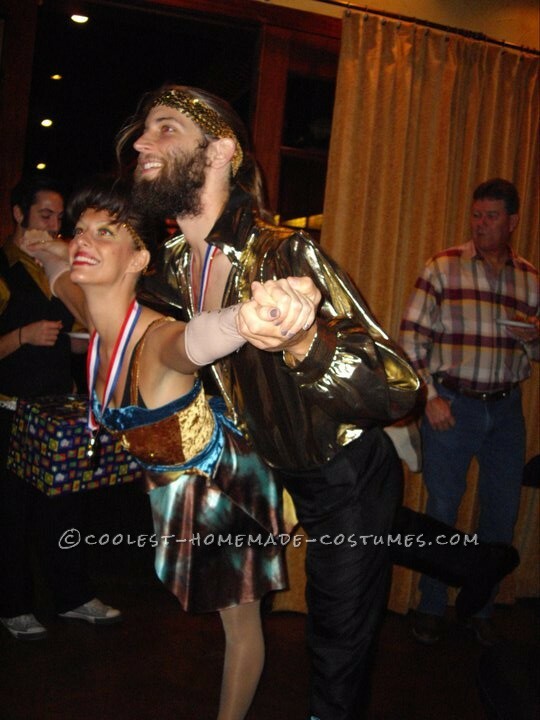 Key points in making this successful, your poses for pictures (practice) and pretending to skate around the bar/party you are at.